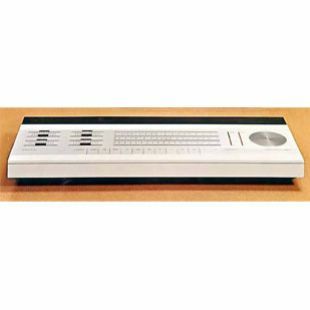 Beomaster 2000 at the time of its introduction in 1974 was an all-new model. The FM/AM stereo receiver was constructed to facilitate simple, logical operation. Five FM stations could be pre-selected. Secondary controls which are not used daily were hidden under sliding panels. For example, the five FM pre-selectors, controls for AFC and muting (silent tuning), were discretely hidden away from view until such time as you needed them. The construction of the stereo decoder was based upon a phase lock system which ensured constant high separation of channels. Manual tuning on the large FM/AM tuning scale was by means of a plain circular disc which was flush-mounted into the control panel. 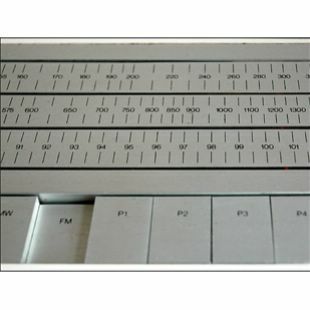 The tuning scale was illuminated and a light indicator assisted accurate tuning on an FM station. The AM section, (long and medium waves), had ceramic filters which enabled good separation between stations. The newly developed automatic volume control effectively achieved a good balance between the weak and the strong AM stations. Darlington output circuits in the amplifier section produced 2 x 40 watts RMS or 150 watts total music, with less than 0.1 % harmonic distortion. One of the TAPE connections facilitated AB monitoring. It was possible to copy from one tape recorder to the other without having to fiddle with cables and sockets. There were sockets for two pairs of loudspeakers and for stereo headphones. Two tape recorders could be connected and could be switched to enable copies of tapes to be made, in either direction. The set was housed in a large flat cabinet of a similar style to the Beomaster 1200 range, though the 'slide rule' pointer was replaced with a conventional dial, operated by a large flush aluminium wheel. A flywheel beneath this made manual tuning very smooth and the large diameter of the control, coupled with the now familiar dual light tuning indicator, also made it very accurate. To complement slim appearance of the cabinet, a wire prop at the rear could be folded down, tipping the whole machine forward slightly enabling the controls and lights to be viewed more easily. Within a certain radius of the FM transmitter you could use the Bang & Olufsen room aerial, type 8902010. The aerial was easily fitted and the telescopic elements positioned as required. This is one of the forgotten Beomasters. 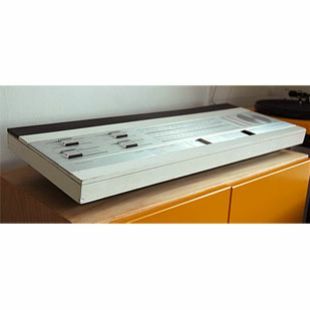 It utilised an amplifier design that would prove to be the most successful for B&O. It formed the basis for all the great amplifiers to follow in the range. Wonderful control of bass and plenty of reserve. Many thanks to www.gort.dk for the excellent images.